As divers gain experience, knowledge and become more relaxed it is important to understand the limitations of not only certifications and ourselves but also of our equipment. Even an expert technical diver or videographer without the proper equipment and redundancy would be inadequately prepared to handle certain emergencies or equipment failures. Recently PADI has launched a new distinctive specialty called Self-Reliant Diver. The goal of this program is to not only train the diver to dive alone but to also help reinforce the value of the buddy system and to understand the risks associated with diving independently. Not only should a Self-Reliant Diver be practiced at independent dive planning and execution but they should also be ready to respond to any equipment related problems underwater. As important as emergency scenario skills are, being a proactive diver is also very essential. Having a small leak may not instantly create a life-threatening situation for a diver but starting a dive ignoring equipment related problems is definitely not a step in the right direction. A Self-Reliant Diver will be able to utilize several equipment checks before entering the water such as: o-ring and regulator leak test, regulator negative pressure test and the SPG’s fluidity check. With a little practice, it is completely possible to confirm and repair any leaks before entering the water. PADI Regional Manager Gio Cacchione spoke recently with Craig Werger, PADI Tec Trimix Instructor and head of the Ban’s Technical Department in Koh Tao, Thailand. Q: What are the goals of the PADI Self-Reliant Diver Course? A: The PADI Self-Reliant Diver course is aimed to develop understanding of the value and application of the buddy system and the philosophy of, and motivation for, diving without a partner. During the course, the student will be introduced to the potential risks, risk management techniques and the need for equipment redundancy in self reliant diving. This course will allow you to improve self-reliant dive skills, dive planning and gas management abilities to carry out dives without a partner and to make you a stronger partner in a dive pair or buddy team. Q: Who should consider doing the PADI Self-Reliant Diver Course? A: Instructors and Divemasters are often with a group of students or certified divers exploring the local dive sites, however, they may not have a specific dive buddy. Being self-sufficient and self-reliant provides the skill set needed for instructors and Divemasters to respond to emergencies independently. Photographers and videographers capturing images are typically concentrating on their subjects, and often not as much on their dive buddies. Self-Reliant Diver training would benefit the Photographer/videographer as well as their buddy. While traveling, divers may end up with a dive buddy they have not met and that may not share the same dive objectives. While buddy separation can be avoided in many ways, if it does happen a Self-Reliant Diver is better prepared to handle the situation. Q: Does being certified as a PADI Self-Reliant Diver mean you can or should dive alone? A: While responsible independent scuba diving is not for everybody, however, it does have a place. Diving without a partner requires experienced scuba divers willing to make the necessary commitment to train and equip themselves properly, and to accept the added risks involved. Qualified and properly equipped divers can choose to dive without a partner although given the choice, diving in a buddy team would be the best-case scenario. Before conducting a solo dive the diver needs to conduct a risk assessment relating to the dive site, conditions, dive objectives as well their physical and mental fitness to ensure they are adequately prepared to undertake the dive. In some areas or dive centers, local laws or regulations prohibit solo diving, if this is the case these regulations need to be followed. Q: Do you need to be a PADI TecRec or Wreck Diver to be a Self-Reliant Diver? A: No, recreational divers certified as PADI Advanced Open Water Diver with a minimum of 100 logged dives and 18 years of age or older can enroll in a dive skills assessment by a PADI Self-Reliant Diver Specialty Instructor. If the students successfully complete the dive skill assessment then they can enroll in the PADI Self-Reliant Diver course. Q: What does a PADI Self-Reliant Diver Instructor look for while conducting an assessment dive? A: Before beginning open water dive skills, students will complete a skill assessment to demonstrate their comfort-level in the water. This will also include a general assessment of their dive knowledge. A Self-Reliant Diver Instructor is checking to see that potential students not only have a high skill level and are comfortable with their previously learned dive and rescue skills but also have a responsible attitude. Students should have a good understanding and familiarity with diving equipment, as they will learn to utilize redundant equipment in addition to their usual SCUBA system. 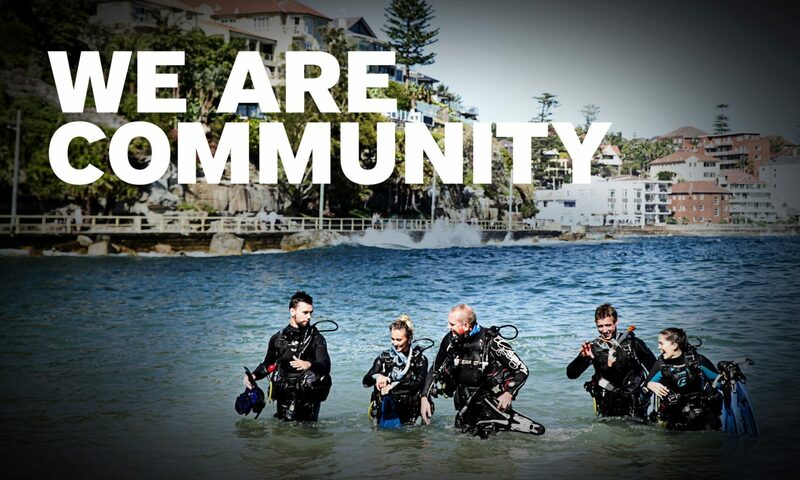 For more information about becoming a PADI Self-Reliant Diver or Instructor contact your local PADI Regional Manager.